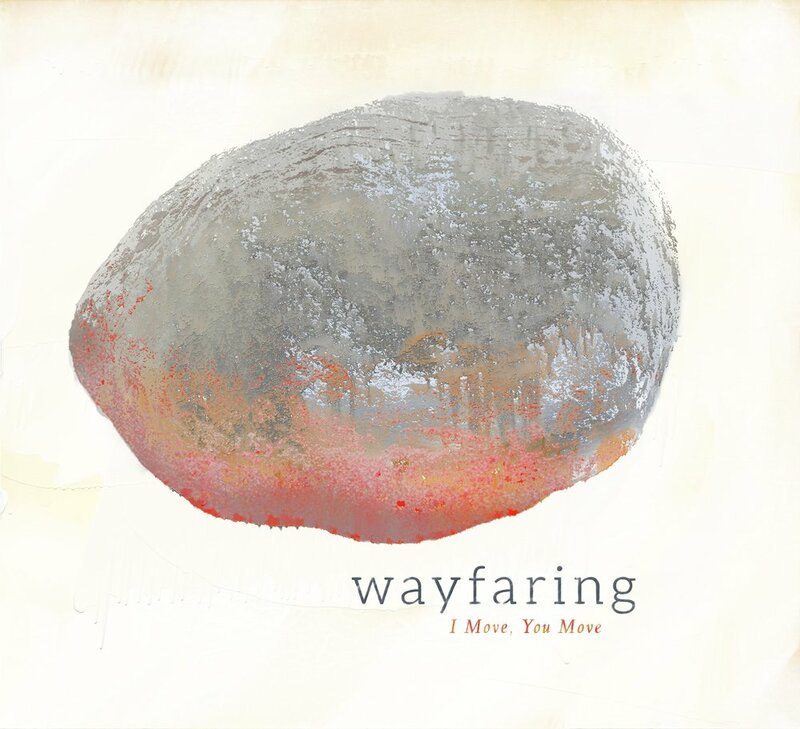 Last year, I was lucky to be able to work with Chicago/Seattle-based music duo Wayfaring (Katie Ernst & James Falzone) on three projects surrounding the release of their excellent debut I Move, You Move. First, we met to take some publicity photos in and around the Fine Arts Building in downtown Chicago. We started with some 'action shots' of the duo improvising front of a blackboard that ended up providing a subtle yet detailed backdrop for the musicians. Then we wandered around Grant Park to get some exterior shots. They ended up using two of these for most of the publicity for live shows leading up to the album release in November. One of those photos printed in The Chicago Tribune, November 1, 2017. This initial concept was met with some favor; I'd been playing around with a digital screening concept, using photos of stones at different thresholds as virtual stencils to 'paint' stones that had some inner fire charring their outsides. Here are some source and process images from this concept stage of the design. "It strikes me that there is a lot of "humanity" on the record, that is to say, a great deal of first person narrative and references (nobody's fault but mine, this is my hand, alton sterling, etc) that there could be some oblique reference to the human form in the imagery. I don't think this would need to be literal, but something that suggests a physical presence of some sort." This helped me dial the idea back to the versions to the right (the silhouettes were again deemed too literal) and then the final iteration of the artwork below. Once I get my hands on a hard copy, I'll photograph it and add those snaps here. 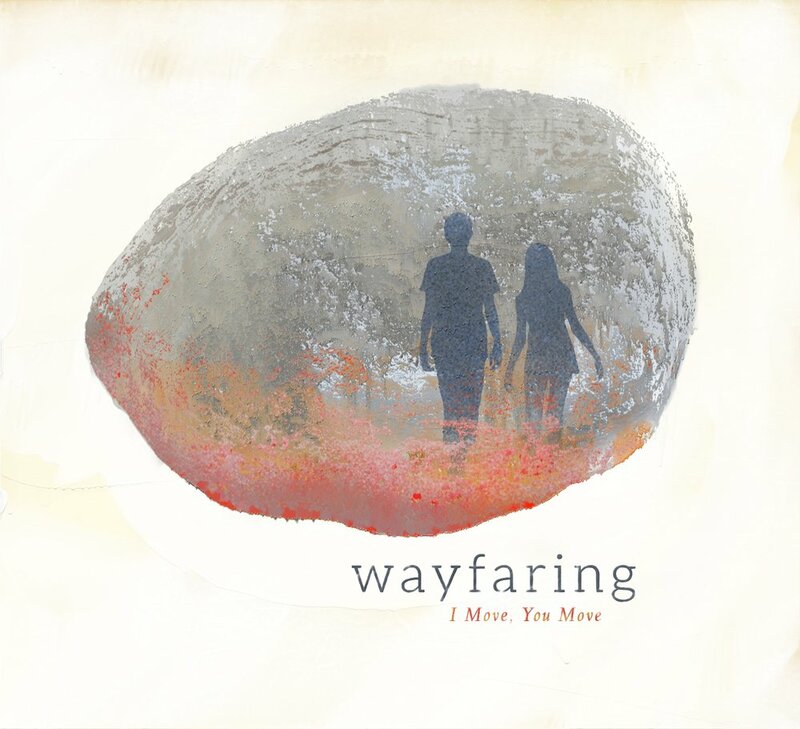 Wayfaring is Katie Ernst (voice, bass) and James Falzone (clarinets). 'And Yet Hope' was composed by James Falzone (ASCAP), and is from 'I Move, You Move' (2017, Allos Documents). Having completed a music video for Drag City artist Bill MacKay earlier in the year, I was looking for another video project to use an excuse to practice the animation techniques I started exploring during that process. Once again, however, the unadorned video really resonated with the musicians, and no animation ended up making the cut. I'll animate a video eventually! I took a field trip to Steelworker's Park, a former bulwark of the steel industry on Chicago's south side repurposed as a public park by the city in 2002. The site is heavy with giant concrete walls that have been eroded by years of languish by the lake, collapsing into the lush greenery that has developed since the steelworkers left the area, leaving exposed rebar and other detritus in their wake. 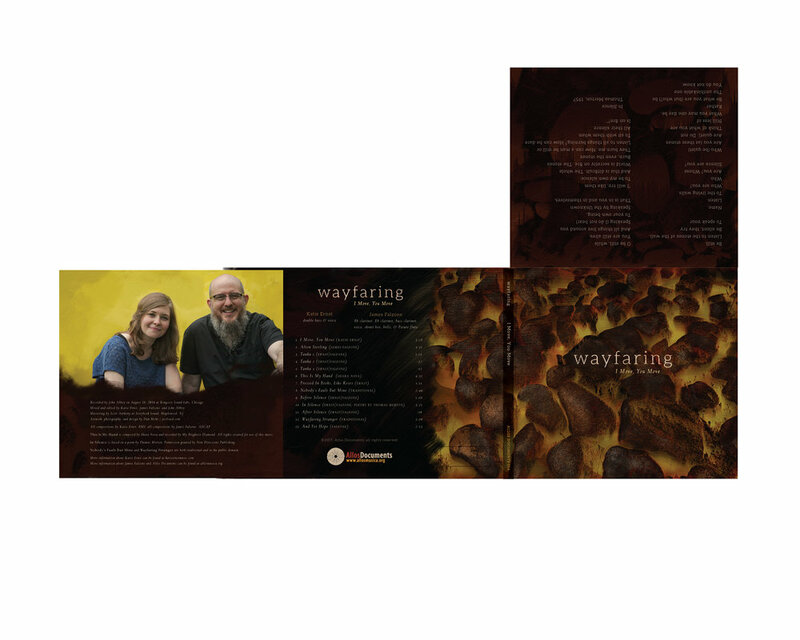 That new life thriving amidst the abandoned human structures spoke to the themes we'd already explored in the CD artwork, as well as the contemplative nature of the music.